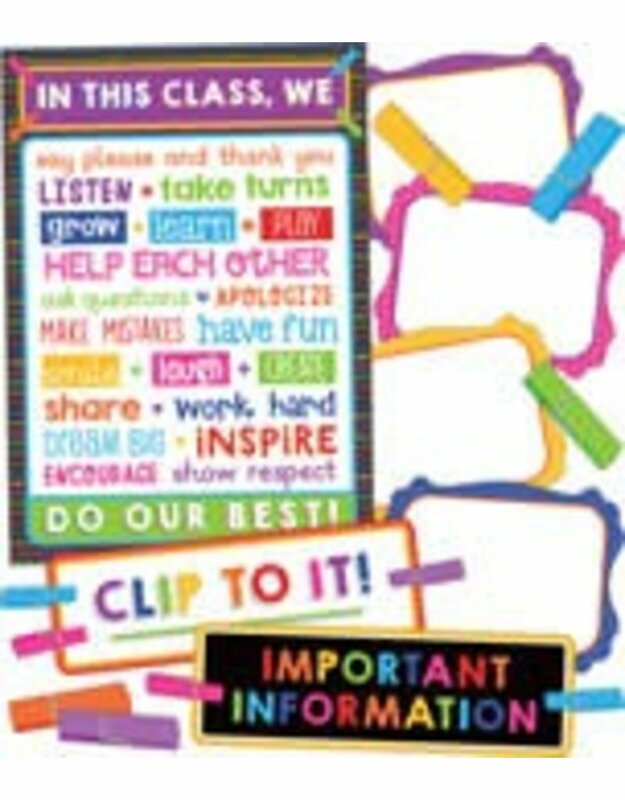 The 43-piece Clip Chart Classroom Management bulletin board set includes clips, frames, a motivational chart, and blank charts to encourage student feedback. This bulletin board set promotes positive behavior and is a great addition to any classroom to help both you and your students stay focused and inspired. Revitalize the way you manage your classroom’s behavior. With the help of these sets, you can easily create a more organized and peaceful environment. Look for other Carson-Dellosa classroom management sets to create the perfect classroom!